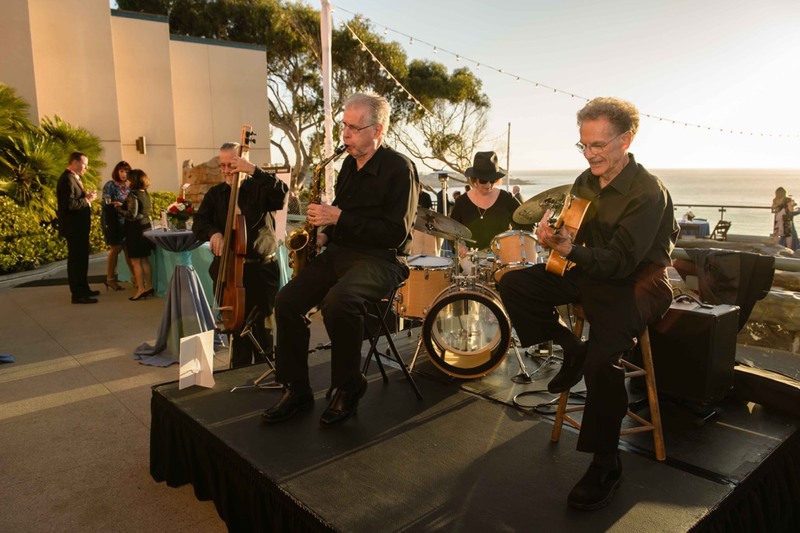 The San Diego County Bar Foundation’s 20th annual “An Evening in La Jolla,” the signature fundraising event for the San Diego legal community, has raised $120,000, providing much needed legal resources to foster children and at-risk youth, the sick and disabled, the elderly, immigrants, domestic violence victims, and more. The Sept. 23 event at the Birch Aquarium gathered more than 350 legal and business professionals from the San Diego community. Judges, lawyers and legal supporters socialized while enjoying an array of food stations, a full Champagne bar and a live band. Attendees learned the impactful story and accomplishments of the California Veterans Legal Task Force, one of SDCBF’s Indigent Criminal Defense Fund recipients. To view pictures from the 20th annual “An Evening in La Jolla” click here. The event’s top sponsors included Cohelan Khoury & Singer; Perkins Cole; Foley & Lardner LLP; Blood Hurst & O’Reardon; D’Egidio Licari Townsend & Shah, APC; Sullivan Hill; Haeggquist and Eck; Kirby & Kirby LLP; Wright, L’Estrange & Ergastolo; Antonyan Miranda; OneAmerica Retirement Services, LLC; JLL; Casey Gerry Schenk Francavilla Blatt & Penfield LLP; Noonan Lance Boyer & Banach; and Best Best & Krieger LLP. To view all of the 2017 ELJ Sponsors click here. To get involved with the San Diego County Bar Foundation, donate or learn more, visit www.sdcbf.org. The San Diego County Bar Foundation (SDCBF) is the charitable arm of the San Diego County Bar Association (SDCBA). Through this partnership with the San Diego County legal community, SDCBF aims to benefit underprivileged communities in the region, by providing them with access to support, funding and public service programs with legal services. The foundation’s beneficiaries include over 40 legal aid and public interest organizations. For more information, visit www.sdcbf.org. No Replies to "San Diego County Bar Foundation Raises $120,000 at 20th Annual “An Evening in La Jolla”"